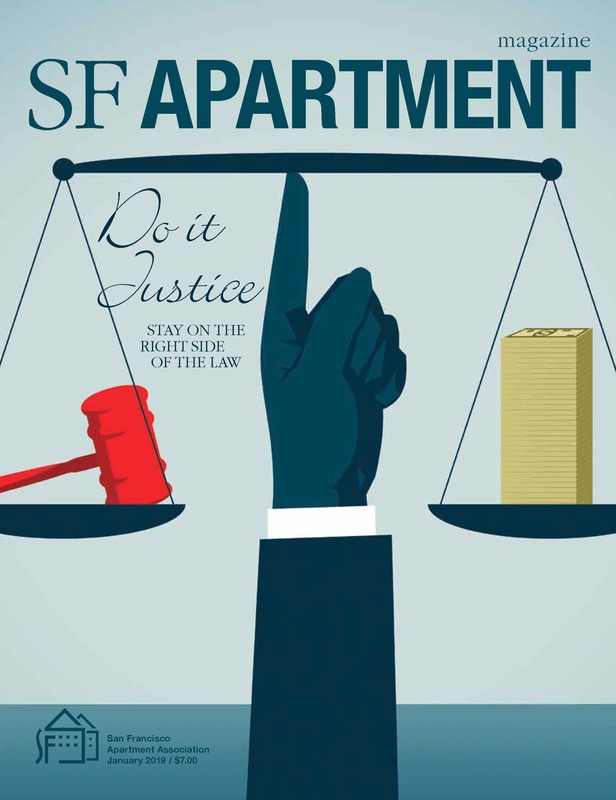 Justin Goodman was featured in the Legal Q&A for the January 2019 issue of SF Apartment Magazine – the official publication of the San Francisco Apartment Association. Justin explored a landlord’s options when a tenant installs an electric vehicle charging station, without the landlord’s approval, seemingly to take advantage of an “all utilities included” lease agreement. Justin also notes for readers of Costa-Hawkins.com that landlord-tenant law moves quickly, and sometimes the submission deadline for a print magazine can be far enough out that the law changes in the meantime. Starting January 1, 2019, state law actually requires landlords to allow charging stations (with some conditions). Justin also wrote a feature article for the January 2019 issue, titled “A Fair Fight”, where Justin predicted the future of San Francisco landlord-tenant law in a post-Proposition F era, based on his experience with San Francisco’s existing, well-funded, legal aid clinics.